Anthony was phenomenal every step of the way. Anthony was phenomenal every step of the way. I was a first time home buyer and he took the stress out of all of it. Had answers to all of my questions along the way, and believe me I had a ton. Thanks Anthony! Anthony was remarkably helpful and considerate in assisting me and my wife with our first home purchase. From start to finish any questions or concerns I had were always taken care of, even things I was simply thinking about but couldn’t put my finger own. The challenges and stress of looking for a first home and knowing the pitfalls are some things that always troubled me, but looking back after settling into the new home I can see Anthony had my back all along the way. Anthony’s earned my respect, my trust, and my sincerest gratitude. He has earned each one of these 5 stars, highly recommended. Anthony was great with helping me find and buy my first home. He was very cognizant of the area, market, and process which helped everything go very smoothly. I recommend Anthony highly to my friends and family! Ben Pabst is beyond Competent. He's a FORCE. This guy comes off charming and easy going – and he is. I would watch out when things get going if you are battling this guy in negotiations. Extremely impressive strategies, well thought out, and totally instinctual. As good as an Agent gets. I hope you will be dropping by! Loved the closing, which took 15 minutes around the corner! Love the neighborhood feeling already. I’m doing my Tai-chi on the hill overlooking the museum every morning and settling in quickly. So far, this feels like a good choice. I like that there are projects, boy are there projects, but a lot is already just right. John and I want to thank you and your team (Maureen was crucial to making the sell and sale go so smoothly). Not taking any of the credit away from you. For guiding the stormy waters to this purchase. We’re so glad. Friends have ben dropping by almost every night and I hope you will do the same. Steph is as caring and as effective as an agent gets! As caring and as effective as an agent gets! Two things everyone is looking for when buying or selling a home! She pours her heart into every transaction she is a part of, and her clients take notice! She’s AWESOME. Shawn and his team were a pleasure to work with. Shawn was knowledgeable, provided excellent guidance and made the process of buying my first home extremely enjoyable and stress free from search to closing. His team is coordinated in their efforts and have a great and positive energy. I would definitely recommend Shawn and the Entourage team to anyone looking for a new home; especially a first time buyer. Mike Spampinato was a dream agent! When searching for our first home in Conshy, we had no idea of the process or what to do when and how. Mike Spampinato was referred by a close friend and guided us through the home buying process from start to finish. He was awesome… let us make our own decisions, but interjected when we needed help! Perfect for first time home buyers in Conshy! Steph is super responsive and extremely thorough in her analysis. Steph is super responsive and extremely thorough in her analysis. She helped us make the correct choice of homes with future value in mind. we are thrilled with our purchase, and we are thrilled with Steph Morinelli’s work as our agent. Ana made our first home buying experience SO much easier! Ana made our first home buying experience SO much easier than we could ever imagine. She was diligent in the search, responsive whenever questions arose (even the ones I thought were stupid and naive! ), and really cared about us as clients. We were living overseas when our search started and Ana put us completely at ease and helped us find our perfect house which we closed on within 30 days! Her knowledge of the business and the search areas was spot on as were her referrals for inspection companies and mortgage connections. It’s a one-stop shop with Ana and she made sure to keep us up to date throughout the entire process. There was never a point where I didn’t know what the next steps were or felt confused. I don’t know what we would have done without her! Truly lives up to her motto “Worry Free with Ana Lee”! Steph has an intimate knowledge of the market and always gave great insights. Dan was awesome – from beginning to end. Dan was recommended through a mutual friend. The initial conversation, is was clear Dan had a plan and gave me multiple ways on how he is going to market my home. Any time that I had a question, he had an answer, or got me one in a timely manner. I never had to ask for the status on anything, he kept updated. The suggestions he had for showing were spot on since my place was on the market for only four days. He was a pleasure to work with and I would recommend him to anyone. Ana Lee's enthusiasm is evident! Ana is honest, professional and will work to meet all of your real estate needs. Her enthusiasm for her business is evident in her work ethic and client interaction. Ana is everything you want in a realtor: responsive, knowledgeable, organized, and mindful of her clients’ best interests. The home buying process can be a complicated, stressful and scary one, among other things, but it certainly didn’t seem that way with Ana working on our behalf. We recently sold our beautiful Cape Cod in Conshohocken, FSBO. Ana Lee represented the Buyers in this transaction. Ana is highly professional, extremely knowledgeable and has excellent communication skills. It was an absolute pleasure working with her and we would highly recommend her services for representing either buyer or seller in transactions. She is such a wonderful and caring person and it shows in all her communications to both parties. She made the transaction a wonderful experience for everyone involved. Ana made us feel like family. From the very start of our house buying experience Ana made us feel like family. She’s extremely knowledgeable in many areas of the home buying experience and fielded our questions(of which there were many) with patience and a great attitude. We believe Ana is someone who truly enjoys helping people find their dream home and we could not have been happier with her services. We will definitely be recommending her to others and plan to use her services again if we ever need them. I cannot say enough amazing things about Ana Lee. She is excellent at her job (I told her this over and over again during our home buying process!). As a first time homebuyer I was so grateful for all of her advice, insight, and support throughout the experience. Ana Lee held our hand through every step of the process and was always available to answer questions or ease our concerns. I couldn’t have done it without her, and I would recommend her to anyone! Ana was recommended by a good friend and it was the best recommendation we have ever received. My husband and I were completely blown away and extremely pleased by her professionalism, positive attitude and ability to zone in on exactly what our needs and wants were to find us our dream home. She was there for us at every step and helped us more than we could ever have imagined. The process was quick, painless and actually enjoyable. We truly feel that we have found a realtor that we can refer out to anyone along with a true friend for life. Bobby Daddis takes customer service to a new level. Bobby takes customer service to a new level. He answered all my calls and took his time to answer all of my questions. When it comes to buying a house, Bobby is a guy you can trust. I’ll be using him again in the future and refer him to all of my friends and family. Bobby Daddis was a huge help at explaining the process and negotiating with the bank. Anthony Keane is your man when it comes to Real Estate. Anthony Keane is your man when it comes to Real Estate. He has vast knowledge of Real Estate and its different ins and outs. I have worked with Anthony for over 5 years in Real Estate and with out a doubt you are in good hands with him. Bobby was such a outgoing and professional agent! Bobby was such a outgoing and professional agent! It was such a pleasure working with him in finding the house of my dreams. I could not be happier!! Entourage Elite and Bobby Daddis get deals done efficiently and effectively to maximize the opportunity. Entourage and Bobby Daddis get deals done efficiently and effectively to maximize the opportunity. His knowledge of the industry, ability to work with people and relentless drive to get the best deal are unparalleled. Bobby Daddis is truly one of the best service providers in the real estate industry in this area! My wife and I were looking to get into a house. As first time home buyers, Bobby was incredibly patient with us and especially with all of my wife’s questions. We must have drug him to 100 properties before we found one that was right for us. Bobby was always in contact throughout the entire process and always answered our questions within 24 hours (often within minutes). Truly one of the best service providers in the real estate industry in this area. We will definitely be seeing him again for our next home and the sale of our current home. Thanks Bobby! Bob Daddis has a profound sense of responsibility for his clients and is relentless in finding them the right home at the best price. He demonstrates sound reasoning at every turn and has proven to be an effective and integral member of the real estate community. I recommend him highly and without reservation. Bobby D! Thanks for all your help and fighting for my brother and I. Our schedule, special needs, and preferences sure didn’t make your job easy but you were resilient when it came to making us happy!! Thanks again. Anthony Keane is one of the rare people who thoroughly, honestly and professionally - do what they commit to doing. Anthony Keane is one of the rare people who thoroughly, honestly and professionally – do what they commit to doing. Coleen and I feel as with we are partners with Anthony. We have invested with Anthony, use his property management service, and listed RE. Anthony is confident, experienced, practicle, fun, and Coleen and I trust Anthony Keane as if he were a member of our family. Bobby Daddis Bobby Daddis Bobby Daddis! I can't praise his name enough! Bobby Daddis Bobby Daddis Bobby Daddis! I can’t praise his name enough! This handsome devil is the man! I am admittedly an very picky person in life, and so searching for the perfect home at the right price for my family (and two dogs) was no different. Bobby’s patience and perseverance was second to none. He eventually found perfection at a price I’m still picking my jaw off the floor about. Thank you thank you, Bobby D! What can I say – Bobby Daddis = Great experience! As a first time home buyer Bobby was able to smoothly and efficiently walk us through the home buying process, providing us with sound advice and guidance. I would recommend Bobby to anyone looking to buy a house! We had a rough road to settlement, through no fault of Bobby, but he was with us every step of the way. He did everything he could to get us into the house we just had to have, and it all worked out. I would recommend Bobby to anyone looking to buy a house! If you want your home sold, and you want to buy your dream-home, then you need to look no further then Bobby Daddis! If you want your home sold and you want to buy your Dream home then you need to look no further then Bobby Daddis! Our house was on the market before with different realtors with no success. The worst part about it was I felt like I was doing all the work. We took our house off the market and thought there was no hope. We were referred to Bobby from a friend and not only did he sell our home in two months he found us our dream house on the first shot. Where other realtors failed, Bobby worked his Magic and believe me this was no small task. Bobby pays close attention to every detail and is attentive to your every need. I can’t thank him enough; my family and I are ready to start our next chapter in our DREAM HOME and Bobby will always be a part of that. Give him a call if you’re ready to start your next chapter! THANK YOU BOBBY D!!!!!!!!!!!!!! I was recently given the opportunity to use the Entourage Elite ​offices, or should I say virtual home gallery, to showcase a new construction project to my clients. They used the LED screens they have to display each potential model we are offering as well and some photos and videos of my past projects. This place is a developers dream. Of course, Shawn and Bobby are pretty cool, too, and The Concierge did an awesome job serving us drinks throughout the day! Thank you! Thank you! Bobby Daddis was so patient, dedicated and accommodating. I was looking for my first house for over a year and have worked with 2 different very experienced agents over the course of that year, however I ended up terminating my agreement with them as I felt that they were just trying to make a quick sale and do not care much for what I really wanted to see in my first home. Right when I was about to give up the search for a while, I stumbled upon Bobby’s Ad online so I thought why not give him a call, and trust me when I say that I am glad I did. Bobby was so patient, dedicated and accommodating. He used to make time for me even late at night. My Wife and I now own the first house that we ever wanted and we are remodeling it to our liking. Shawn Tammaro and the Entourage Elite Real Estate staff were great with helping me, and I would recommend them to anyone that has any questions in regards to real estate. Bobby Daddis had my condo sold in less than one week, and at the price I needed. As an executor, I needed to sell a condo for an estate sale. And I needed it sold immediately. Bobby understood my needs and went to work very quickly. The condo sold in less than one week, and at the price I needed. He kept me informed all along the process and was very professional. Highly recommended. Bobby Daddis is extremely impressive and quick as can be! Extremely impressive and quick as can be. Always a top priority. Went on numerous showings before finding our home. Bobby helped us overcome a few hiccups with our financing along the way. I recommend highly! Bobby was awesome! I had to rent my place quickly after months of struggling with Craigslist…he produced. He was so responsive and on top of all my correspondence with him. I would highly recommend Bobby to anyone who is looking for a realtor who takes the time to listen to you and acts. No matter if you are selling your house or looking for a new one there is no other individual that will better serve you than Bobby. On top of his game in every aspect, responsive to every request no matter what. It was an absolute pleasure from the first day he walked into our home. As a reliable agent, you can sit back and be assured that your business is being handled professionally and on key. The business relationship we started off with Bobby has now turned into a friendship that my wife and I are looking forward to in the future. Bobby Daddis is a fantastic agent for a first-time home-buyer!! I just bought my first home two weeks ago, and I love it!! My friend and her husband had bought their first home several months back, and they highly recommended their agent Bobby Daddis to me. And I will certainly recommend him to anyone I know who is looking to buy in the future. He is a fantastic agent for a first-time home-buyer!! He was always quick to respond to emails and phone calls, and he was able to arrange showings for me right away. He was dedicated, organized, knowledgeable, and patient with answering questions and explaining the home-buying process. He was always so on top of everything. I went in expecting the home-buying process to be daunting, intimidating, and overwhelming. But Bobby ensured that the whole process ran as smoothly, easily, and painlessly as possible for me. Bobby Daddis was professional, kind, and was able to answer any questions that I might have in a timely manner. I’d been searching the market on-and-off for the perfect home, in an ideal neighborhood. Until I met Bobby, I was unable to find this home. I’m now a first-time home owner, living in a beautiful house within my budget (and within my ideal neighborhood), and I owe this to Bobby. He was professional, kind, and was able to answer any questions that I might have in a timely manner. Searching for a home can be an incredibly stressful experience, though I genuinely feel that he made this experience run as smoothly, and quickly, as is possible. I have since recommended Bobby to several friends (who now work with Bobby), and recommend that whomever reads this review work with him as well. If you need to sell your house, call Bobby Daddis!!! If you need to sell your house, call Bobby Daddis!!! From beginning to end, he was honest, personable, knowledgeable and answered questions. Bobby was quick to reply to emails, texts and phone calls. Our house was listed on many, many sites and the pictures he took accurately represented our house. He generally cared about us and our specific situation and went above and beyond to help us. Bobby is and advocate for his clients! We appreciate all he’s done for us! Shawn Tammaro answered our questions definitively and in a timely manner! My Wife and I just completed the purchase of our new home with Shawn Tammaro and his team at Entourage Realty and are very satisfied with the entire experience. I don’t write reviews typically, but thought I would be helping others with their home purchases by sharing information about our experiences with Shawn and Entourage. Our transaction like all real estate transactions had its challenges and that is where Shawn’s professionalism and experience shined through. Previous to working with Entourage we had been working with another firm that left us wanting more. I also had prior lackluster experiences working with realtors in an out-of-state market. These experiences had led to a negative attitude toward realtors in general prior to meeting Shawn. My thought was that the typical realtor’s main motivation was to get a deal closed as soon as possible, rather than fighting for their client’s best interest in the transaction. I found previous realtors representing me in ways that left me wanting a true advocated for my side of the transaction. Shawn Tammaro is the opposite of my negative stereotype, he is a credit to his profession. Its easy to see when you are working with someone who loves what they do and still has a passion for customer service. During the initial process to find our home, what stood out the most was that Shawn answered our questions definitively and in a timely manner. Once we found a home he negotiated the price and terms to our benefit on every point. I’m not saying we got everything we asked for but never did I feel he was trying to compromise what we wanted to do because the seller or other realtor might not like it. The other thing that stands out is that Entourage is run right. You are never left guessing what you need to do, what happens next, did we forget something etc. Their communication throughout the process was excellent. Anna also stands out in the office as a happy person who is very dedicated to the customer experience at Entourage. If you are looking to work with true professionals that are going to represent your interest on your real estate transaction I recommend Shawn Tammaro and Entourage Realty. Stewart Kupfer is a trusted Realtor who will unequivocally make sure that his clients best interest is the primary focus. 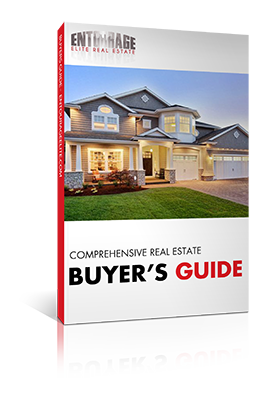 When my wife and I started looking for a home, we were all over the place in terms location, home style, land, etc….. Stewart patiently worked with us while we learned in “real time” what we were looking for and was always available for guidance and help. I highly recommend Stewart not only for his industry knowledge but also because of his character. The real estate business is littered with pitfalls and barricades and Bobby Daddis is a master at navigating that maze. Trust is a major factor in determining who you want responsible for the most important purchase of your life. To feel like you’re being taken care of and that your best interests are in the right hands is priceless. The real estate business is littered with pitfalls and barricades and Bobby Daddis is a master at navigating that maze. He is focused, never quits, and refuses to allow walls or stumbling blocks to deter his path. He has heart and gumption. I couldn’t recommend him more highly. Hats off to Bobby Daddis and Shawn Tammaro for their innovation and forward thinking! Hats off to Bobby Daddis and Shawn Tammaro for their innovation and forward thinking in an industry that is still stuck in the stone ages. Working with them in both a client and business relationship, it is abundantly clear that they are light years ahead of their competition in all facets of this industry. I truly can’t express the satisfaction I’ve received in all my dealings with Entourage. 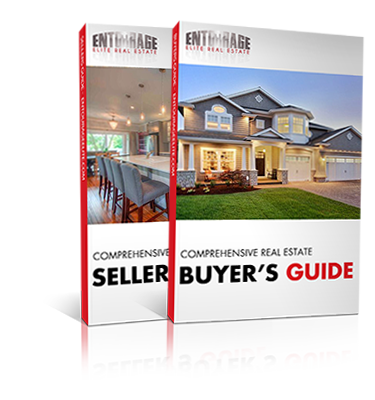 Please do yourself a favor and the next time a friend, family member or yourself have a need in the Real Estate industry make sure your first call is to Entourage Elite Real Estate! Entourage Elite took so much upon themselves to make the whole experience as painless as possible! Just finished up working with Entourage. What a great experience! Shawn and Susan made us feel like family. They were professional, reliable and trustworthy. Whenever we had a question or needed to run something by them, they responded immediately. Most importantly, when things came up that were unexpected last minute, they DEALT with it and took care of it. There are so many things that go own during a regular day, then add all the stress of moving, packing etc., Entourage Elite took so much upon themselves to make the whole experience as painless as possible. I put all my faith in Shawn and his team to take on what needed to be done. Thanks again guys! Bobby Daddis of Entourage Elite Real Estate was awesome! We are already planning to use Bobby again, when we buy a house next year. Bobby was awesome! We only had a week to find a great rental that would allow two big dogs. Bobby rearranged his schedule to make sure we could go out and look the first day we were in town. On a second day, met us between showings, so we could take a look at “just one more place”. He helped us get a lease executed on our short time frame seamlessly. Oh, and he dealt with my endless string of emails, always answering my questions and doing so quickly. We are already planning to use Bobby again, when we buy a house next year. Update: It’s already a year later and Bobby helped us by our “for now” home. He was knowledgeable and got us a great deal! We are loving our little house. The neighborhood is awesome, schools are great, and we are close to everything. It is perfect for us! Shawn Tammaro and the Entourage Elite Team did absolutely fantastic job! Shawn Tammaro and the Entourage team did absolutely fantastic job finding a tenant for my house (East Norriton, PA) – in less than 2 weeks they secured several candidates, did extensive screening and processed all the paperwork – all in all a painless and pleasant experience. Will use their services again when I need the real estate expertise. Highly recommend! Bobby Daddis & Shawn Tammaro have taken their real estate knowledge and passion and instilled it into their agents! I’ve known Bobby and Shawn for quite a few years now and have had the opportunity to work with them on several different occasions. These guys have taken their real estate knowledge and passion and instilled it into their agents! From the cutting edge marketing strategies to the constant in-house trainings…they have their agents on point! I wouldn’t hesitate to use any agent in the Entourage Elite office on a personal level, and I would refer any one of them to friends and family! Keep up the great work everyone! A beautiful home at a fair price, suited perfectly for our family. My husband and I just had the pleasure of being guided through the tricky process of buying our 1st home by Anthony Keane and his staff. He certainly went above and beyond the duties of any real estate agent I’ve ever heard of and we would highly recommend his services to anyone looking for an honest, trustworthy advocate in the process of buying a home. He takes late night calls, answers questions in an honest, no BS manner (which we really appreciated) and really went the extra mile to help us get the a beautiful home at a fair price, suited perfectly for our family. Bobby Daddis & the Entourage Elite Real Estate team are AMAZING!!! Entourage Elite are the best and it was easy!! Been very happy with our home. Forgot to express we’re so pleased with everything! Entourage Elite are the best and it was easy!! If Anthony hadn't already helped us find the perfect house, I would definitely use him again! Anthony Keane was easy to work with. He kept us well-informed of all of our deadlines and answered all of our questions throughout the process (and I had lots of questions). Within two weeks of our first conversation with Anthony, he found us our dream home AND had an agreement of sale on our old house in order to make the deal happen. He helped us market our old home in a way that got us multiple interested people and an offer the first weekend it was on the market. If he hadn’t already helped us find the perfect house, I would definitely use him again! I was introduced to Anthony Keane by Shawn Tammaro about 2 years ago. I had a client looking to purchase her first home and I needed a great agent to help her out. Anthony went above and beyond for her and for every client we’ve worked with since. The thing that most impresses me is his knowledge of all facets of the home buying process and his desire to learn about things most agents don’t care about. 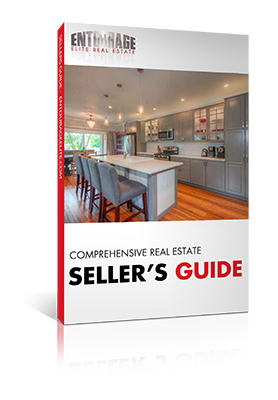 This knowledge puts his clients at ease and insures a smooth transaction. When I refer a client to Anthony I can rest assured they will be well taken care of and a happy client is great for business. You won’t find a better agent than Anthony Keane! I am new to the world of real estate and being a landlord. I worked hard to be able to afford my first home so when the time came to decide to rent or sell, I decided to look into relying on a property manager to look after my investment. I spoke with a few different potential property managers prior to meeting with Anthony Keane. He was the only one that instilled confidence in my decision and after our meeting I looked no further. He is professional, courteous, honest and fast to respond to any concerns. I would recommend him to anyone looking to do the same. I’m writing this review to let everyone who is looking for a home that Anthony Keane is the best man for the job. He is a loyal, honest hard working realtor, that will not stop until the job is done. I had problems with my tax history that prolonged the settlement and he still got me the deal of a lifetime on my dream home. This was my first time buying a home and it was a great experience. So I am highly recommending Anthony Keane to any one who is trying to buy a home. We engaged Anthony Keane and Entourage Elite Real Estate to sell our home and help us find a new. We couldn’t have been happier with our choice. From the sale side, the listing that was put together was impeccable, marketed incredibly and enabled the property to sell in just 4 days with multiple offers. Their professionally photographed listing photos were amazing. On the purchase side, Anthony dealt with our every request as they came. We certainly ran him around looking for our home which we were able to find in our schedule, budget and desired location. We can’t thank and recommend him enough. Anthony was wonderful to work with! He and his team were very responsive, very down to earth, very knowledgeable and overall just great to work with. Anthony didn’t try to rush us through the process, even though everything ended up moving really quickly for us – just about 6 weeks to find and close on our new home! As first time home buyers, Anthony explained everything to us and helped us through the process the entire way. He is very approachable and made what could be a very complicated and confusing process a stress-free one! We would highly recommend him and his team! What can I say about Bobby Daddis and the gang at Entourage Elite? They are purr-fect! It was a seamless transaction and I can’t thank the guys enough for making a newbie buyer like me feel very comfortable during the entire process. My hats off to them and will definitely recommend them to anyone looking to buy or sell some PA or Jersey real estate. I’m very happy with how selling of my home has turned out. I thought the whole thing would be one drawn out process but it couldn’t have been further from the truth. I’d like to give the EE Team two thumbs up! These guys are tremendous! These folks are true real estate gurus!